I’ve been practicing and teaching Kundalini yoga since 2012. I knew from my first class that Kundalini would be a major part of my life. Since I took my teacher training I have committed to sharing Kundalini with the world! All the meditations in my book Miracles Now are Kundalini meditations, and I have an online course Turn On Your Inner Light is devoted to Kundalini teachings. If you’ve read my books, followed my blog, watched my videos or seen me live, then chances are you have heard me quote Yogi Bhajan! Yogi Bhajan is the Kundalini teacher who brought the practice of Kundalini yoga to the West in 1969. A major part of what Yogi Bhajan taught are his five sutras for the Aquarian Age. If this sounds a little trippy to you, no worries. My goal with this blog is to show you that these sutras are actually very accessible. Yogi Bhajan meant for us to apply them in our everyday lives. You’ll see how to do it. If you’re not familiar with the word sutra, in this context it is simply a teaching. You can also think of it as an aphorism, which is a simple, concise statement of a principle. If the Age of Aquarius is a new concept to you or sounds only vaguely familiar, then check out this article for a detailed explanation of what it means from an astrological and spiritual perspective. What’s important to know when learning Yogi Bhajan’s five sutras for the Aquarian Age is that we are in a time of transition. The Aquarian Age is the age of information. Hierarchies are slowly dissolving. We are becoming more connected and equal. But there is a lot of pain and chaos in the transition. It’s no secret that we’re living in divisive and fearful times. This transition offers amazing opportunities for growth. There are lots of miracles available to us. But we have no time to waste. We need to start using our tools now. Here are Yogi Bhajan’s Five Sutras for the Aquarian Age, as well as my guidance for how to apply them in everyday life. This is a very powerful message today, as issues of separation are brought to the surface. As you apply this sutra you can come to realize that what you admire in others is a part of yourself that may not be developed or expressed yet. You may also come to learn that what you don’t like in others is a disowned part of your own shadow. Below you can watch a clip from a talk I gave a few years ago on the Five Sutras. In this clip I teach the first sutra and offer guidance on how to release separation and restore oneness. You can try this with someone who is challenging you. A coworker who gets on your nerves, or a family member who pushes your buttons. This seems subtle, but it is a very profound shift. When you recognize the other person is you, you immediately move into a different energy. The conversation starts to shift. You start to breathe more smoothly, and you start to let go. You see the light in them. Use this sutra wherever you can. This isn’t about being perfect all the time. This is about using your tools whenever you remember, as frequently as you can. Remember that we can’t live in the light all the time, but we can come back fast. The second sutra of the Aquarian Age is, “There is a way through every block.” As you start to open your heart and your mind to this mentality, anything is possible. All you need in order to experience a miracle is the slightest willingness to see things differently. There is power in saying to yourself, “There is a way through every block.” That in itself will give you the strength to move into a new direction, to see something differently and to calm down in those moments when you feel out of control. When you commit to the belief system that there is a way through every block, then you can recognize challenges as opportunities for growth. 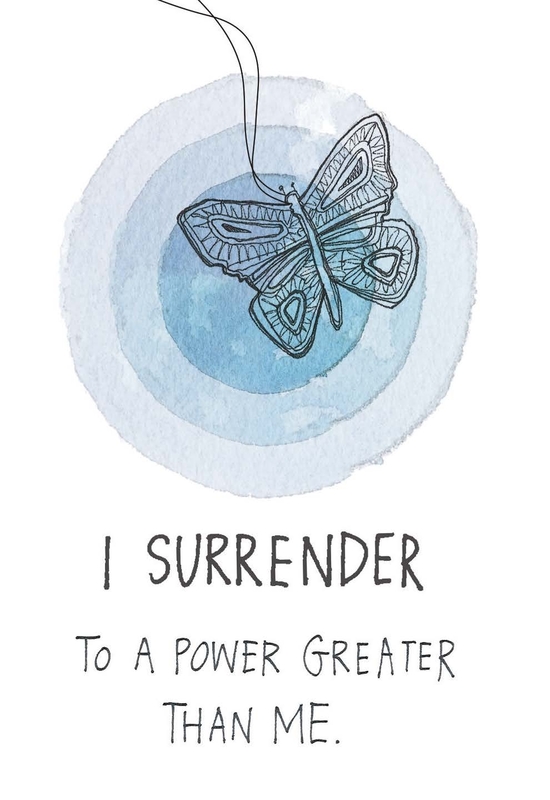 You can stop trying to control and instead surrender and let go. This sutra is about having faith. Faith is a muscle. Right now, your muscle of fear may be really strong. The muscle of disbelief may really strong. But the more we exercise our faith muscles, the more faithful we become. In that faithful presence, we start to not only think that there is a way through every block — we know there is a way through every block. Start to practice this. Make it your mantra. This is the sutra that reminds us to just start. It’s so easy to get overwhelmed by all that is in front of us. If you are going through a change, or if you want to start something new, it’s all too easy to get stuck. This is when we procrastinate and quit. We feel enormous pressure and we get really intimidated by all that needs to be done. With this sutra we remember that all we need to do to release that pressure is to start. I talk a lot about the power of taking little right actions. The Aquarian Age requires us to act. But you don’t have to do everything at once. Just start. For me this is such a moving statement. Every encounter is a holy encounter. Every situation we are in offers us an opportunity to detour further into fear or an opportunity to come back to compassion. Once we understand the first sutra, that the other person is us, then we can cultivate our compassion for others. We can see that we all suffer. We are all in it together. Compassion will give you a lot of strength. It will give you energy. It will give you peace in difficult circumstances. It will help you to forgive so you can be free. To get closer to compassion, I recommend reading two of my blogs about Judgment Detox. The first is about how to begin witnessing your judgment without more judgment. The second is about using prayer to release judgment. When we ask for guidance, we can let go of judgment and separation and come back to compassion much faster. This leads us to Yogi Bhajan’s fifth sutra of the Aquarian Age. What does Yogi Bhajan mean by “vibrate with the cosmos”? Another way to think about this is in terms of getting into alignment with the energy of the Universe. The Universe is an ever-present stream of loving energy. When we are vibrating at that frequency, we are led to exactly what we need. Our thoughts, words and actions all have energy. 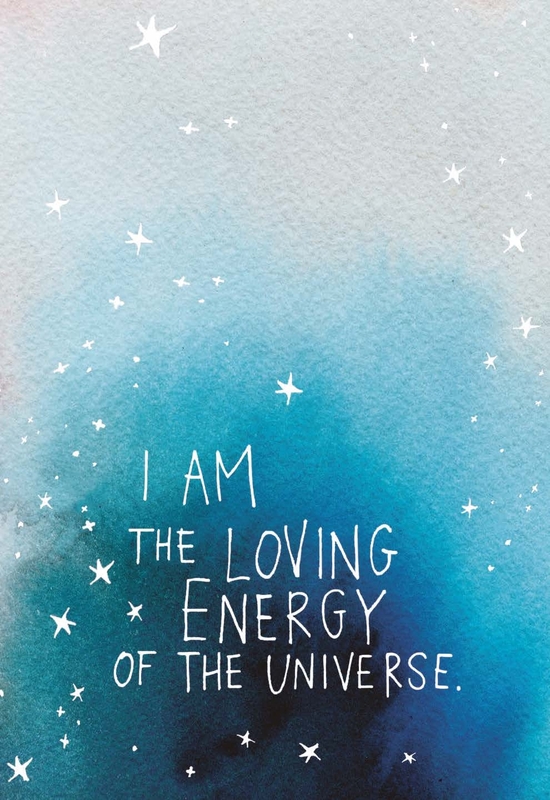 And whatever energy we are vibrating with will be the energy that supports us and that we attract into our life. If we’re vibrating at a low level, then low-level energy is supporting our life. We will attract people, situations and outcomes that vibrate at that same low level. But there is another way. We can vibrate with the cosmos. We can raise our vibration to the frequency of love, compassion, openness, oneness and peace. When we do this, we will attract wise and loving support. Our intuition will strengthen. We will be given divine direction as to how to handle the most difficult circumstances. Vibrate with the cosmos and the cosmos will lead the path. Sounds awesome, right? So how can you vibrate with the cosmos? First and foremost, you start to practice all the other four sutras. When you practice the other four sutras your energy field becomes realigned. You start to feel better. You enjoy life more and you have more fun! And as you start to feel better internally, that energy is reflected back to you. Under each sutra I gave tips on how to practice them. And I included links to other blogs and videos of mine where I share more tips. These are very simple practices that you can integrate into your daily life. One extremely powerful way to get into alignment and vibrate with the cosmos is to meditate. I have a lot of meditation resources to support you. If you are new to meditation, it can seem really hard. Meditating every day can seem like a lot of work. But this couldn’t be further from the truth. Even if you simply sit in stillness for a couple of minutes each day and close your eyes and let your breath slow down, that is enough. I created a FREE 4-track album of guided meditations to help you in every area of your life! 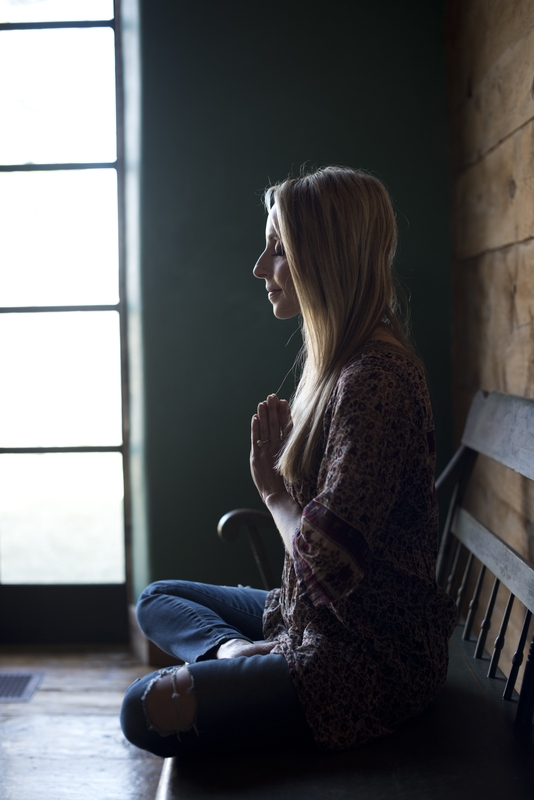 It doesn’t matter whether you’re new to meditation or have been practicing for years. All you have to do is press play and follow along. You can download them instantly here. Remember that you don’t have to master all these sutras right away. Not at all! This isn’t about mastery. It’s about practice. If you come away from reading this blog with one new tool in your spiritual toolbox, and you practice it daily, then you are in beautiful shape. I also want to stress that this is not about being perfect. I am not asking you to be the most flawlessly dedicated spiritual student who ever lived. I don’t care about that. I care that you begin to recognize when you’re out of alignment and do what it takes to come back to love as quickly as possible. I’ve mentioned my book Judgment Detox. If you feel called to start healing your judgment, then this book is right for you. It asks you to do deep spiritual work but also offers immense rewards. It combines teachings from Kundalini with lessons from A Course in Miracles, Emotional Freedom Technique and more to heal judgment and restore oneness. You can order the paperback here! I’ve given you a lot of resources in this blog. If you feel a bit overwhelmed, then go back to the basics. Scroll back up and read about how you can start practicing the first sutra. Keep it simple. Remember that when it comes to your spiritual practice, your willingness is what matters. Bookmark this blog and come back to it. Each time you read it something new will jump out to you. Trust that guidance and follow it, and expect miracles. Thanks for reminding us to just try one thing a day and get practice doing that, because the spiritual advancing is overwhelming! Thanks a million for explaining the five sutras in such an easy and understandable way! I’ve also found Kundalini yoga seven years back and even finished level 1 teacher studies. However, my block is fear of teaching. I am working on this block for years. Ego always finds excuses why I should not start teaching. In this blogg article I got a great tip to look at a person I admire and affirm his/her strength in me, and believe in myself more. There is a way through every block, right? 🙂 I hope that Spirit Junkie Masterclass will help me to go through his block. Thank you once again! YES Aiga! Love this reflection and excited to see you step into your truth as a teacher! Thank you Gabby, this email has jumped into my inbox at the perfect time (no surprises there really)! I am so very grateful for the wisdom you are imparting And the resonance it is finding within me. Thank you for this beautiful new blog Gabby. I keep thinking of you and feeling called back to my Spirit Junkie Masterclass teachings. Much love! I learned Kundalini from your videos and books . And I found them very interesting . It is not only spiritual but there is science behind it wich make me wanting to practice it and learn it even more. I really appreciate from you , posting the five sutras and getting into deep Explanation . I read your judgment detox and try to practice to be less judgemental. Like you said , it S a daily practice that we have to enforce in our lives and with Love and the Oneness we can achieve more . Ayuverda and Kundalini are what I want to learn more and more . Thank you Gabby for this amazing blog! I am ready to open my business (preschool) and I feel #3 is for me right now. Some times the fear creeps in and a lot of thinking gets involved ie: is it the right time or how if it does not work out? I love all your books and your blogs. I also met you in Vancouver at one of your book events. Thank you Gabby. I was accidentally introduced to Kundalini yoga also . I had so many misconceptionsabout what it was bc my introduction was kind of intense so I stayed away. Until now. I not only intend to begin these sutras but I’m sharing the love with friends. Thank you! Thanks for the great resources! I’ve been slowing studying A Course in Miracles for a few months, and this will help to support that path. I appreciate your reminder that even taking small steps and being willing to see differently is enough. I have a loooooong way to go to stay centred and in my power for more than fleeting moments, so when I become overwhelmed, I try to remember that a miracle is simply a shift in perception from fear to love. Your words and work really help remind me of that. Thank you so much Gabby, as always I’m coming away from reading your blog feeling enlightened and knowing that I am in the right path. You are a huge inspiration to me and have helped me do much since I found your work 4 years ago. Thank you for sharing your many gifts and talents! Thank You so much Gabby! This blog was perfect timing, just what I needed to read today. I plan on starting the first sutra now. I recently became certified in Reiki 1 and practice yoga and meditation with the help of your guided meditations. I am half way through Judgment Detox and have read your other books. This all resonates with me and helps me vibrate higher. Thankyou so much for sharing. Lots of love from Colombia. Big hugs to you Margarita! I found the link to this blog in my email after listening to an interview with Michael Beckwith. What a lovely day for me! It’s so nice to have confirmations along life’s path! You have inspired me to look into Kundalini Yoga. Thank you for sharing! I started last week with the Spirit Junkie Masterclass and it ‘s just so overwhelming. It went great; I felt great, so energetic! But today I just lost my connection… what happened?! Trying to force seeing those little signs so I know the Universe is with me… it just didn’t happen… until I read your e-mail. Inspiring as always and yes… a little butterfly. That little butterfly that is with me since my mom, and a year later, the love of my life, father of our son, died. Thank you so much. The sutra I going to practice; There is a way through every block. Thank you for this. Just finished reading The Universe Has Your Back, and am a longtime spirit junkie as well! Loving everything you put out here for us. Again, thanks for all your incredible focus and guidance – keep shining 🙂 <3 Linds. Gabby, thank you for teaching, writing, and sharing. You have been a major part of me getting out of a dark place and on the path to a better place and on a wonderful spiritual journey. When I’m praying, I thank the universe for the many things pointing me on this path, and I include you in that. I am forever grateful for all you do. Hi Gabby! Thank you so so much for another beautiful email that hits the right spot at just the right time. I was struggling with my 13 year-old son’s behavior today and found myself getting beyond frustrated with him when I opened this email and wouldn’t you know it, Yogi Bhagan’s first sutra was there in my face. “Recognize the other person is you!” WHAT?! Ok Universe, I got it! I took a deep breath, came back to myself, locked into my son, said the prayer you suggested and chose again. Sometimes I’m still so amazed at how the Universe works! Wow! Another thing that happened today was this… I had a busy day so I tried to click out of this blog before I finished reading it completely. Wouldn’t you know I could NOT get it to return to my email ALL day until I finished reading it in its entirety! Lol! If that wasn’t a plain and simple “suggestion” from the Universe, I don’t know what would be! Haha! Thank you again, Gabby! For being my teacher, for being the conduit through which the Universe grabs my attention and sets me squarely back into alignment. I am truly grateful for you! Lots of love! When you live in close quarters with your loved ones, how do you take the space for quiet? I’m only one sutra in but wanted to pause to say that I bumped into you once at Kripalu when I was there for another workshop. We saw all sorts of happy women bouncing around and asked them what workshop they were at and they were at yours. My friend went back her room to find out more about you and returned telling me every detail of your Oprah appearance talking about the Universe has your back. The next morning at silent breakfast I founded myself in front of you and you smiled at me with your eyes for a long moment! And all I could think about was walking with you through the sorrows you described in the video, lesson up to the turkeys in your yard! It was a powerful moment for me. And then I got my cup of chai and sat down. You may not make it reading this far but thanks if you did and maybe we will see each other at silent breakfast this July because this year I’ve signed up for your workshop. Peace and blessings to all who have read this far! I plan to meditate, even for a few minutes. I also plan to begin the practice of seeing others as me. This is powerful!! Thank you! Dear Gabby – years ago (2016) I was inspired by you to become a Kundalini teacher without ever having taken a class! I did it and at 64 became a teacher. I was intuitively guided to do it. Then I was in a car accident in Baja, Mexico. I had a spiritual experience in the hospital with a voice saying to me, “You get to choose how you go through this experience, what will you choose?” I used Kirtan Kriya during MRIs and other scary procedures. 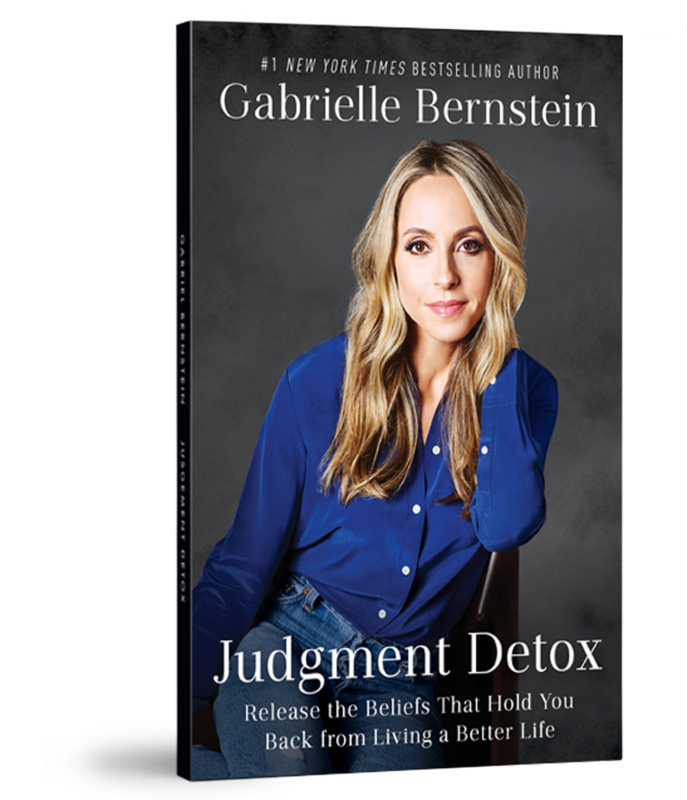 Judgement Detox changed my life. Helping me see my angry, hateful vibe was a way to protect me from feeling sad and getting hurt. I truly forgave thisevib my life that hurt me and let so much go! Thank you so much for such an amazing amount of tools that really change your heart and your life from fear/anger to love and a peaceful joyful way of living. Giving good vibes so I can create good in the world. I am deeply appreciative for this blog! It was like manna from heaven. I have been feeling so out of alignment and knowing that the opportunity to change was there for me yet unsure how & where to start. As I read this, my soul was filled with joyful hope and eager anticipation for a fresh new start w/o judgement of myself. Thank you Gabby!! Thank you, Gabby! “There is a way through every block” resonates with me right now. The big career I’d dreamed of had not happened for me. I jumped ship—found love, started a family. I’m back now—I still want that dream for myself. Even if the form is different from what I’d imagined. Perfect timing! Thank you once again for all you do. Thank you!